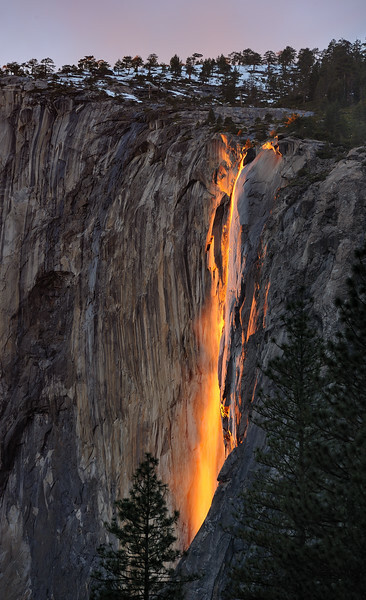 Every year in the month of February, the sun's angle is such, that it lights up 'Horsetail Falls' in Yosemite, as if it were on fire. Earthshots.com selection for 11 June 2011. See it HERE.